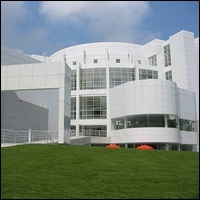 From a stately home on Peachtree Street to its current award-winning buildings in a spectacular setting, the High Museum of Art has grown to become the leading art museum in the Southeastern United States with its renowned collection of classic and contemporary art featuring more than 12,000 pieces. A towering atrium soars to four interior levels, with the galleries moving from 18th and 19th century collections near the ground floor to the cutting edge of contemporary art on the upper levels. Parking: Free parking is available in front of the shop on Highland Row and next door at the Highland Inn lot. Additional street parking is available one block down on Blue Ridge Avenue and on Cleburne Terrace, which is just off Blue Ridge Avenue.